Watling Street used to be a toll road, a road which travellers would have to pay to use. The road was made a toll road during the Imperial period. The site of the Trent Valley Railway, which dates from the Imperial period onwards. The route of the railway runs between Rugby and Stafford. 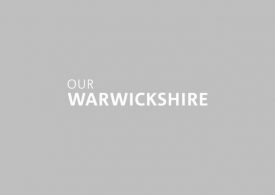 This is a forum for heritage groups in North Warwickshire and meets three times a year at various venues around the area. This is a chance for heritage and history groups to get together and exchange ideas and information. Two members from any organisation are welcome to attend, and minutes are sent out to everyone on the database. Membership is free. This map shows markers for every photo, article, historic site and catalogue record within the North Warwickshire category.